curriculum ever created for your classroom! 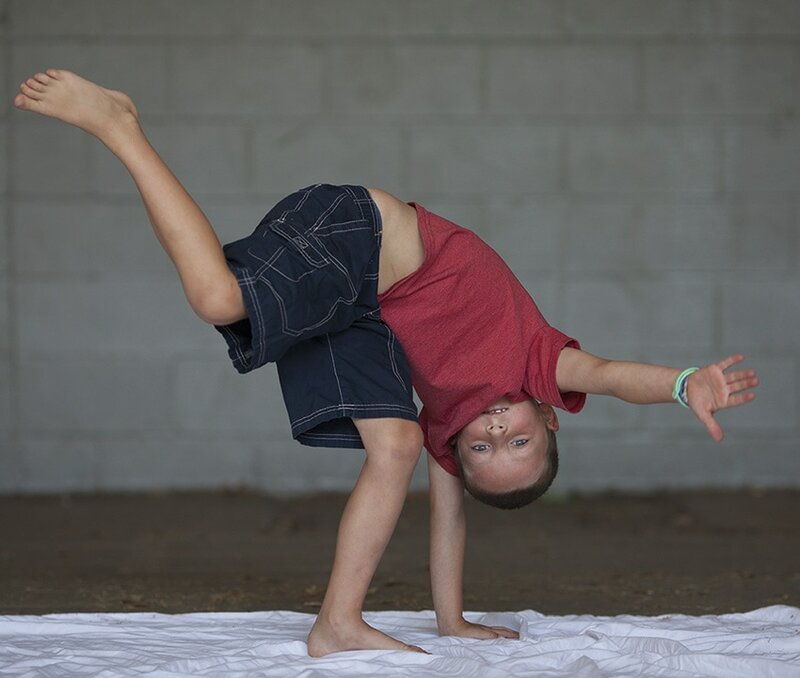 ​Self Regulation for Grades PreK-2. 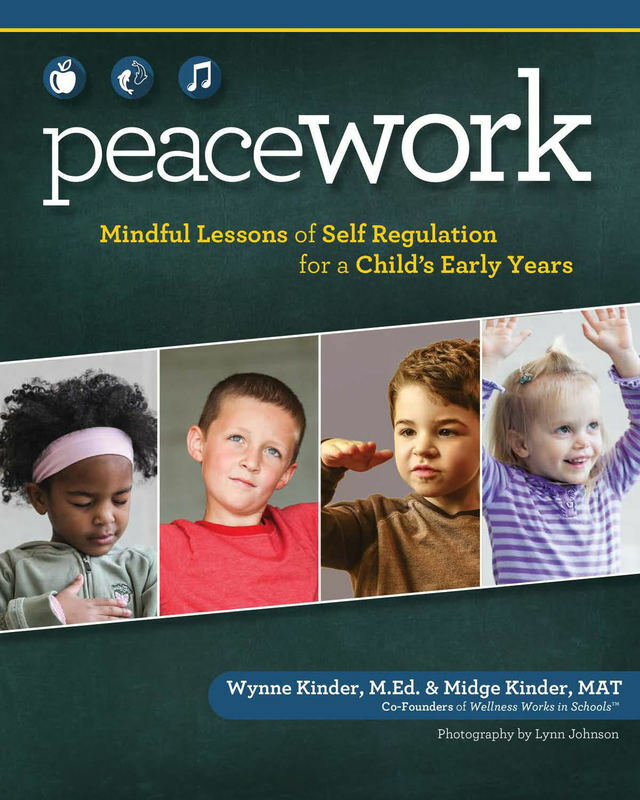 Peace Work is a ground-breaking, mindfulness curriculum designed to fortify and enhance self-regulation in young children. This easy-to- follow program of 6 sequenced lessons for teachers and parents offers children the opportunity to create, recognize, experience and reinforce a calming presence of peace within themselves to better manage their thoughts and emotions. With the helpful lessons of Peace Work, young children can learn to positively influence their impulses and behaviors to build the skills that lead to a peaceful productive and happy life. "​I've used Peace Work in workshops for Early Childhood educators. No other resource breaks down lessons for this age group better than this book. Participants agreed that they could easily do theses lessons with their kids." "Peace Work is the most concise, compassionate, accessible book yet written for parent and teachers looking to bring peace and clarity to young children's lives through the practice of mindfulness." This curriculum draws from SEL educational standards, addresses emotional and social awareness and explores the impact of emotions on self and relationships with others. These 16 lessons integrate mindfulness skills, social emotional learning and trauma-informed strategies in each lesson. Mindful Moods is the first curriculum ever to embed digital video links (GoNoodle) to encourage and support teachers in sustaining the practices and skills. This middle grades curriculum draws from SEL educational standards and addresses social and emotional awareness. 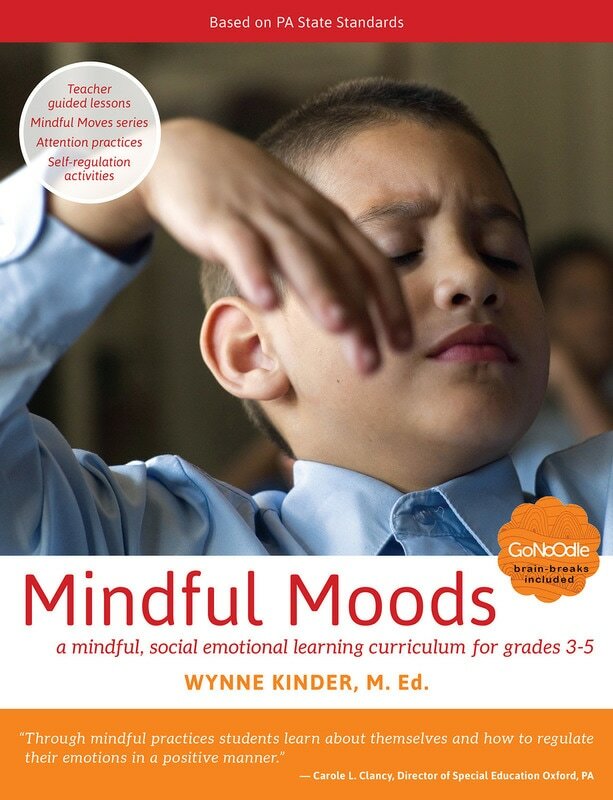 In these 15 lessons, students will practice mindfulness skills and explore social emotional competencies throughout the program. 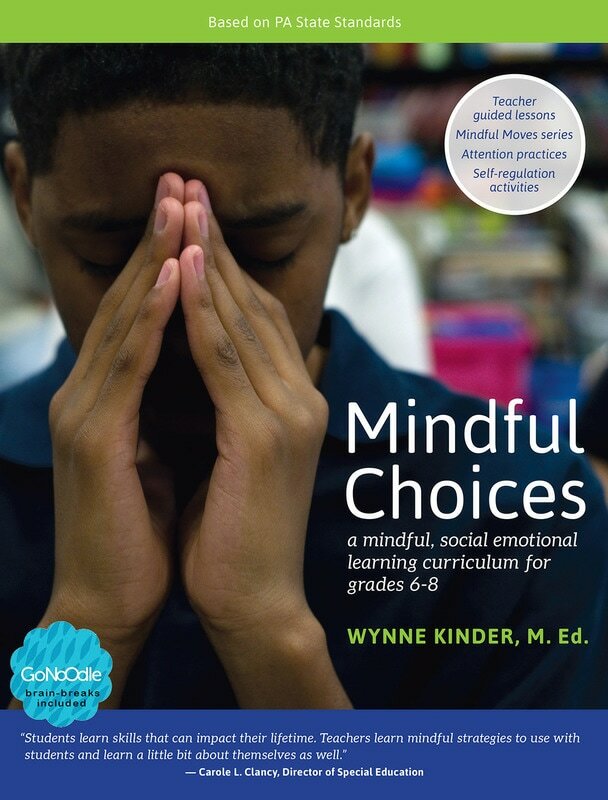 Mindful Choices enables teachers to guide and support students understanding of emotions, choices and relationships using trauma-informed language and approaches. This curriculum also embeds video links (GoNoodle) throughout to increase engagement and sustainability. "Students learn skills that can impact their lifetime. Teachers learn mindful strategies to use with their students and learn a little bit about themselves as well." Get online training for how-to teach each curriculum in your classroom. Go to the Training tab above.